Complex environments may place constraints on animal sensory perception. However, little is known about how ecological constraints impact the formation of animal social groups, which ultimately necessitate that conspecifics detect one another. Here we studied the fission–fusion social groups of highly social terrestrial hermit crabs (Coenobita compressus), which frequently split and recombine, requiring individuals to actively sense the location of conspecifics. 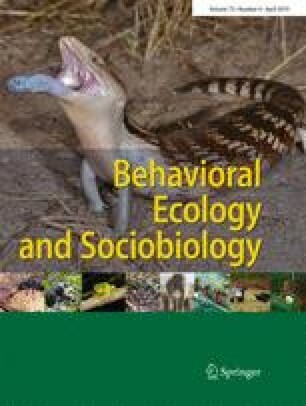 We manipulated the environment by relocating abundant natural fallen leaves on the beach, testing how and why this debris may constrain social group formation. Our experiments revealed that fallen leaves impose a fundamental limit on social grouping, with experimentally simulated groups attracting significantly fewer conspecifics (75% less) if they were surrounded by leaves. This constraint on social grouping was not the result of leaves acting as a physical barrier to movement. Furthermore, leaves only hindered visual perception of conspecifics and did not hinder other modalities besides vision. By experimentally moving leaves above the horizon, such that they no longer blocked animals’ field of view, we found that the impact of these visual constraints on grouping could be effectively abolished. Broadly, these experiments elucidate how complex environments impose sensory constraints on social animals’ ability to navigate toward groups. Social animals must be able to detect and orient toward conspecifics if they are to form social groups. Features of the environment, however, may impose constraints on sensory perception that interfere with the detection of conspecifics. Here we studied social hermit crabs, which form social groupings within a complex habitat that contains abundant fallen leaves along the beach–forest interface. By experimentally manipulating leaves, we show that these seemingly insignificant ecological materials create visual constraints that block the cues free-wandering individuals normally use to orient toward social groups. Our study thus reveals how common aspects of the environment can exert major constraints on sensory perception, thereby severely limiting social group formation and ultimately sociality. The online version of this article ( https://doi.org/10.1007/s00265-019-2662-3) contains supplementary material, which is available to authorized users. We thank Osa Conservation staff and the Laidre lab for assistance in the field. This study was supported by a EEES/GAANN fellowship to ES and Dartmouth College startup funds to ML. For helpful feedback, we thank Mike Webster and an anonymous reviewer as well as the audience of a conference talk on these experiments at the summer 2018 International Society for Behavioral Ecology in Minneapolis. ML conceived the study and designed the experiments; both authors then worked jointly to collect the data in the field, analyze the data, and write the manuscript together.